Professional Rooter Services, Snaking, Jetting, etc. The drains and drain pipes in your house keep your family healthy and safe by flowing sewage and wastewater away from the home easily. If things get clogged up, you don't want to be guessing, you'll want a pro who knows how to find the problem and clear your drain efficiently. You'll want a pro, especially if the clog in your MAIN drain line (your side sewer line). You'll find that Plumbing Experts NW is the one you want to call for handling your drain cleaning Lake Stevens. No need to let a frustrating clog or sewer backup ruin your day, or worse, create an unsafe environment for your family! Our techs have decades of experience examining and diagnosing issues with home plumbing systems, so it's worth it to have a professional handle it correctly, and it's much faster for you. This is the service of drain cleaning Lake Stevens WA families should be looking for and trusting---not thinking of messing with it themselves. We'll always give clear communication of our diagnosis, then present you with your options. Just like with our other plumbing services, we here to advise you and help you make a clear decision. Top Reviews for our Drain Cleaning Services in Lake Stevens! Plumbing Service Lake Stevens appreciates from the time they call. Get our friendly and see how we care for you. Locating water leaks whether they are in the house walls or in the water lines underground. Sewer camera inspection providing the homeowner a clear view of what's going on with a sewer line. Water heater leaks? No hot water coming out? We'll inspect, repair, or replace water heaters every day! 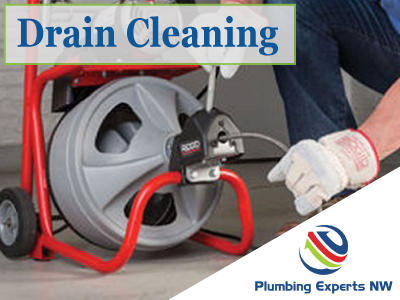 We clear any drain! Your professional drain cleaning in Lake Stevens and surrounding areas. Sewer repair services in Lake Stevens, keeping small issues from becoming costly sewer issues.